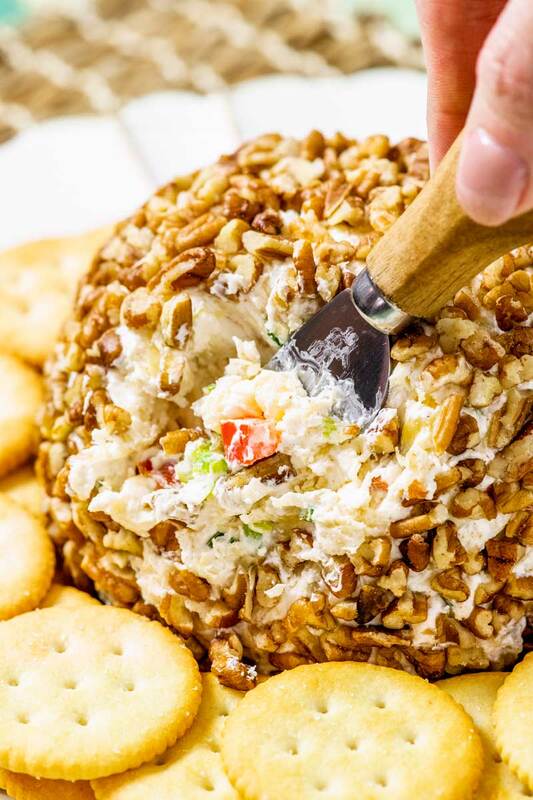 This retro pineapple cheese ball is full of sweet and savory flavors like green onion, pineapple, red bell pepper, seasoned cream cheese, and chopped pecans. I love serving up unique flavor combinations, and one of the best (and easiest!) ways to do that is mixing up sweet and savory tastes. And that’s exactly what this pineapple cheese ball does, in all its retro style glory. 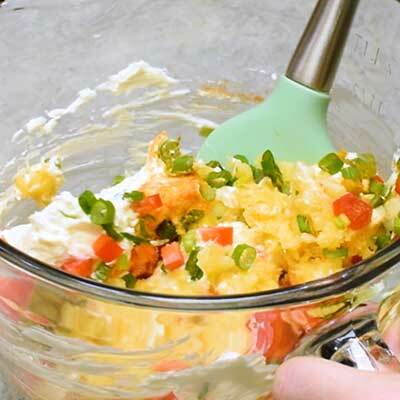 The sweetness of the pineapple reacts with the cream cheese, peppers, and onions in all the best ways, giving you a fun dip to serve and enjoy for any occasion. What does a pineapple cheese ball taste like? If you’re a fan of sweet and savory flavors, then you’re in luck – that’s exactly what this cheese ball tastes like. The tart cream cheese is tamed by the sweetness in the pineapple, and that sweet flavor is kept from in check by the fresh green onion and red bell pepper. Putting it all together, it creates a really tasty balance. 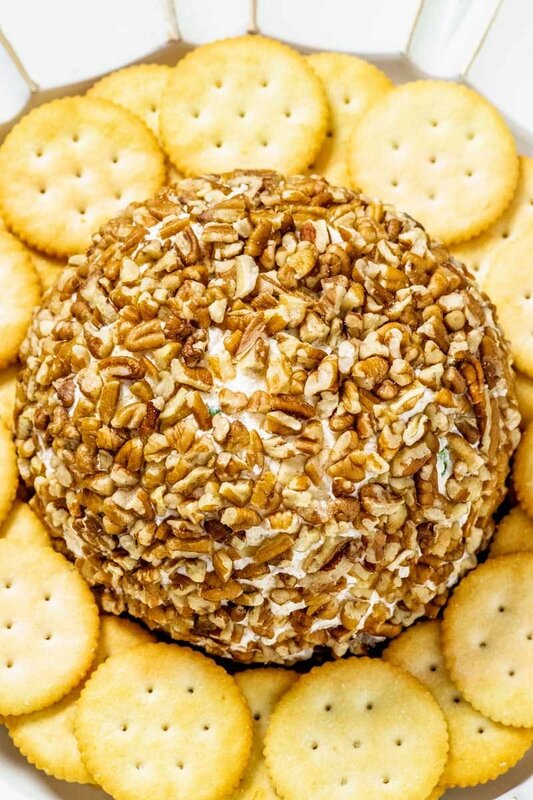 What can you serve with a cheese ball? When it comes to cheese balls, there are so many fun options for dipping! 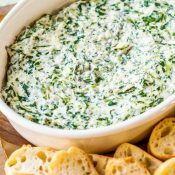 I tend to think a good, firm cracker works best for cheese balls, but you could use a variety of firm veggies or baked breads as well. Can you make a cheese ball in advance? 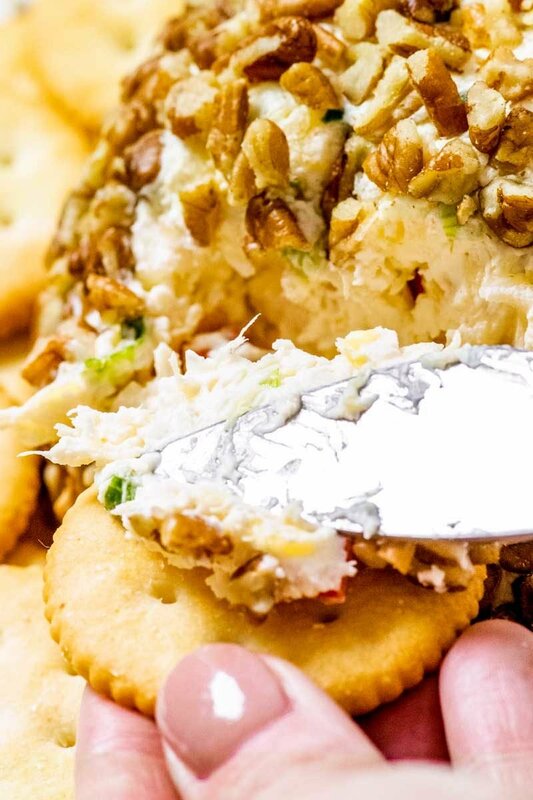 Yes, you totally can make a cheese ball in advance! In fact, they’re ideal for prepping ahead. 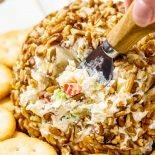 Just follow the recipe directions as written, but once the cheese ball is prepared, you can either wrap it again in plastic wrap (highly recommend, so the coating stays on) or you can store the cheese ball in a sealed container. Once stored in the refrigerator, a cheese ball will remain good for two to three days. To freeze, just wrap the prepared cheese ball in plastic wrap and store in the freezer. The cheese ball should remain good for one to two months. 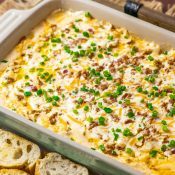 When ready to eat, just allow the cheese ball to thaw in the refrigerator overnight before serving. How long can you leave out a cheese ball? 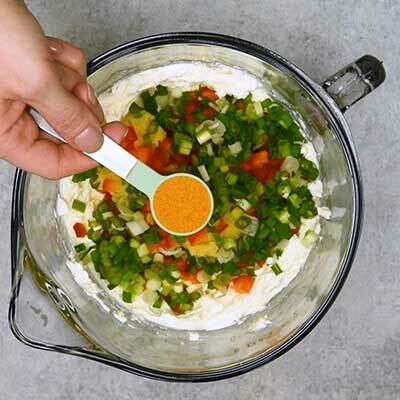 Whenever you serve a dip for your guests to enjoy, you should always keep track of how long it sits at room temperature. For most foods, the general rule of thumb is that a perishable item should not be in the “danger zone” for more than two hours. And by “danger zone”, this is usually at or just above room temperature. 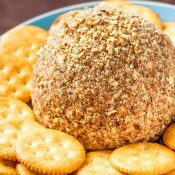 This cheese ball will still be a little chilled when served, and this should give you an extra 30 minutes beyond the two-hour window, depending on the temperature of the room and how long ago the cheese ball left the refrigerator. As the party goes on, you can return the cheese ball to the refrigerator once you get past the two-hour mark. 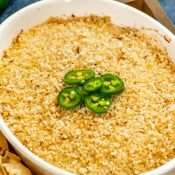 If your guests still want more dip, let it chill for at least 30 minutes before bringing it back out again. 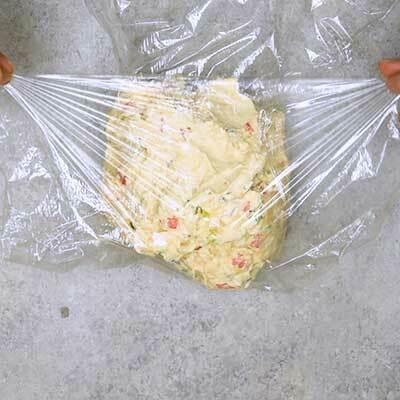 For preparing and storing a cheese ball, make sure you have some plastic wrap on hand. It makes a huge difference! 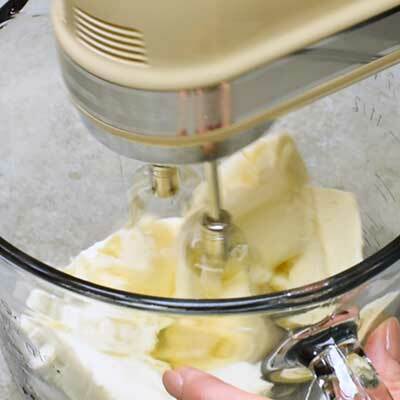 Step 1 – Using a stand mixer (or hand mixer + large bowl) whip the cream cheese until soft and pliable. The softer and fluffier it gets at this stage, the better. 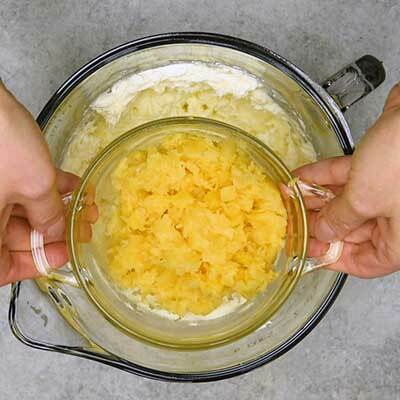 Step 2 – Turn off the mixer, then toss in the following ingredients: shredded pineapple (make sure it’s very drained), green onion, red bell pepper, and seasoned salt. 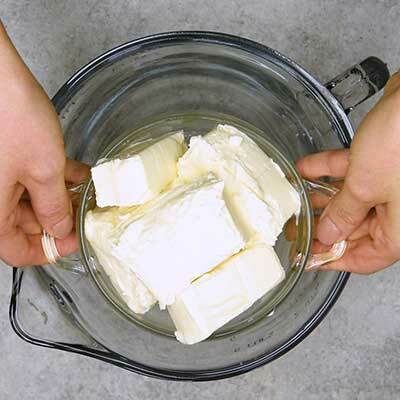 Use a spatula to gently fold all of the ingredients together, making sure to scrape around the sides of the bowl. 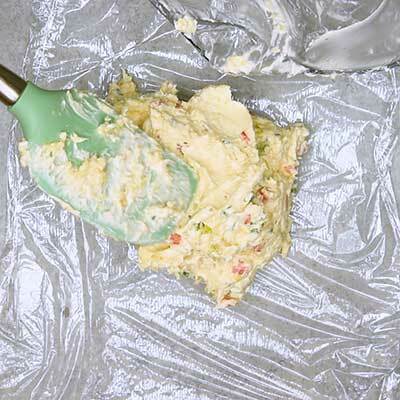 Step 3 – Lay out a large piece of plastic wrap, then scoop the cheese ball mixture into the center. Lift up the sides of the plastic wrap and thoroughly wrap and cover the mixture, forming it into a ball. 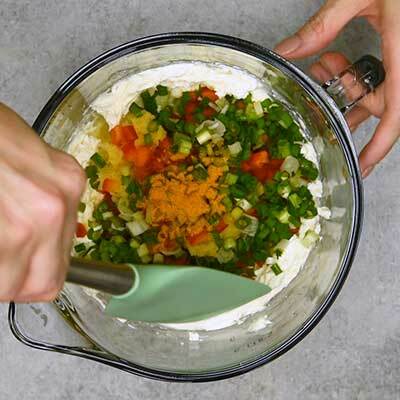 Step 4 – Chill the cheese ball in the refrigerator for a few hours. 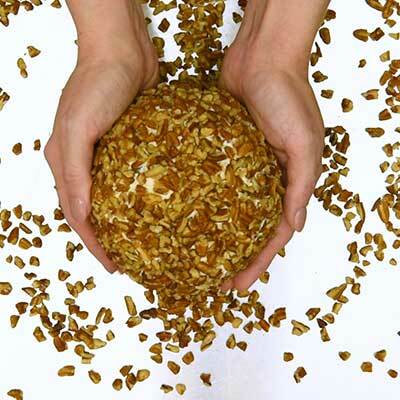 Step 5 – On a clean work surface, spread out the chopped pecans. 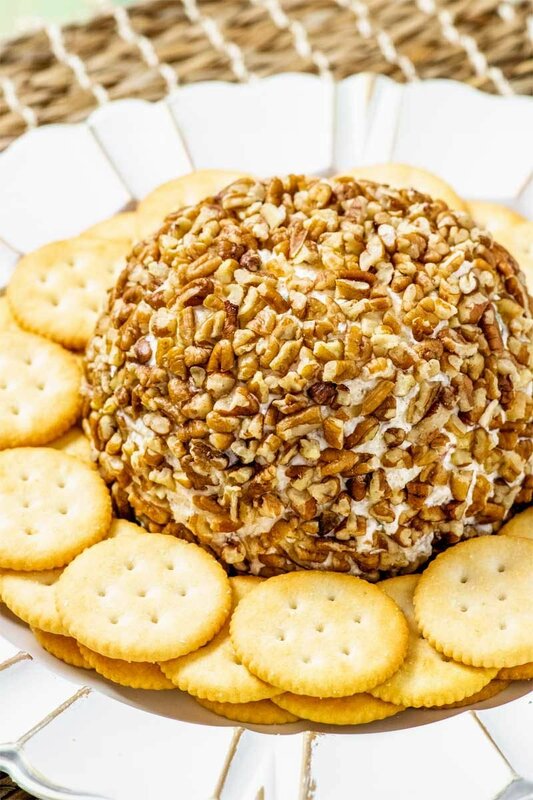 Unwrap the cheese ball and place on top of the pecans, then use your hands to cover and press the pecans into the outside of the cheese ball. Step 6 – Place on a serving plate with crackers and enjoy! 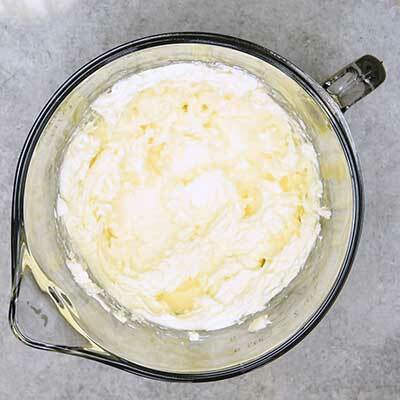 Using a stand mixer (or a hand mixer + large bowl), whip cream cheese until smooth, about 2 to 4 minutes. 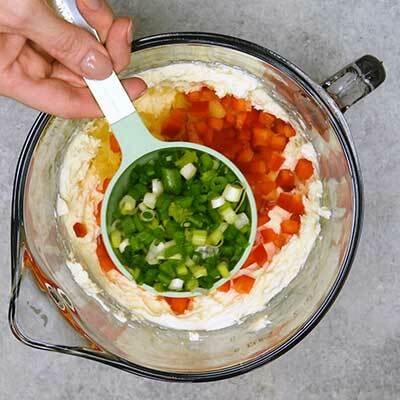 Turn off mixer and add pineapple, red bell pepper, green onion, seasoned salt to bowl. 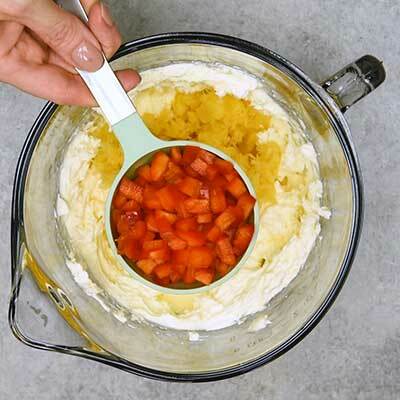 Use a spatula to gently fold all the ingredients together until thoroughly mixed. 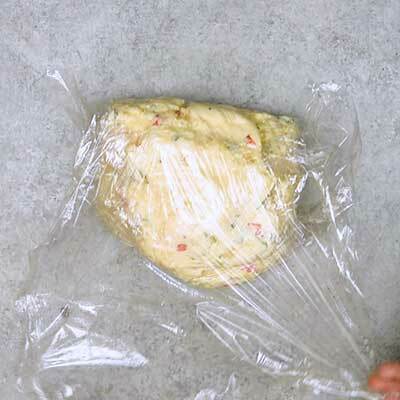 Lay out a piece of plastic wrap on a flat surface, then scoop the cheese ball mixture in the center. 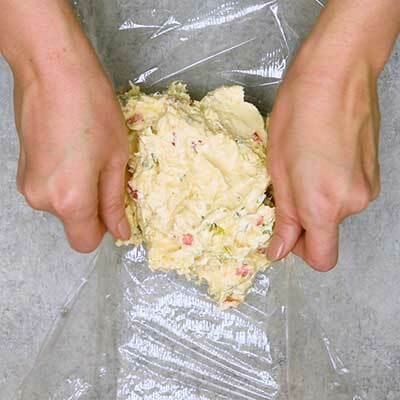 Pull up the sides of the plastic wrap to cover the cheese mixture, confining it to the middle. 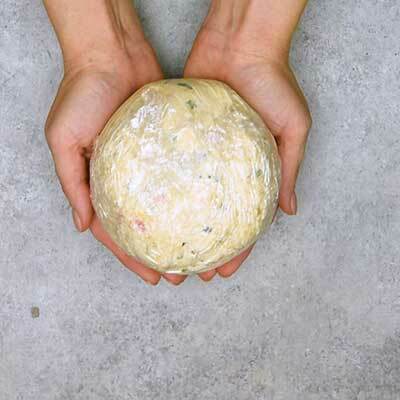 Once completely wrapped in plastic, use your hands to smooth the cheese into a ball shape. If needed, use a second piece of plastic wrap to secure the ends. Place wrapped cheese ball in the refrigerator until firm, at least 2 to 3 hours. 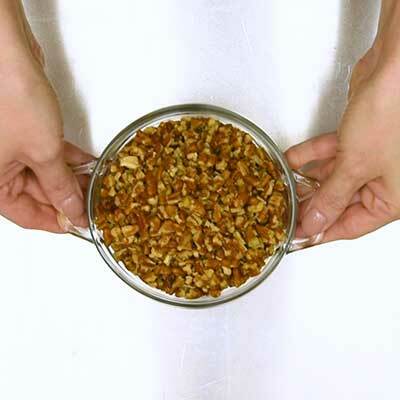 When ready to serve, spread out chopped pecans on a flat surface. 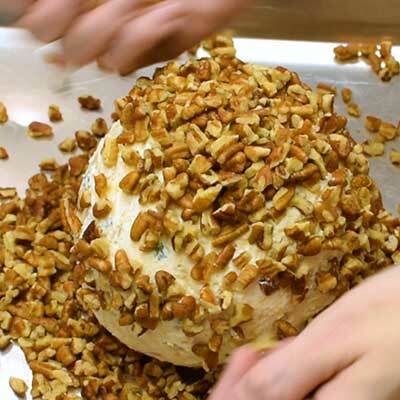 Roll the cheese ball in pecans, using your fingers to press and stick the pecans to the cheese. 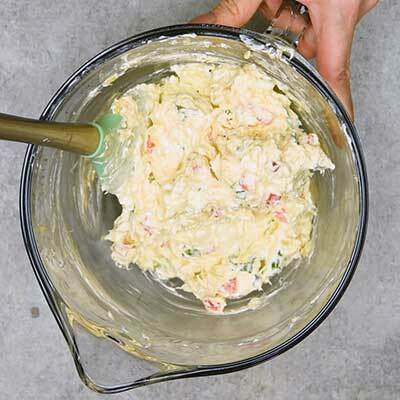 Serve pineapple cheese ball immediately with crackers for dipping.